Our team of swim instructors have discovered through years of experience that private swim lessons are the most effective, productive and cost-efficient way of learning to swim. Your child isn’t distracted by peers, and is better able to focus on the teacher’s instructions so that progress is maximized. Rather than just getting a few minutes of individual attention spread out over a long time, this makes it possible to get your child water safe and learning the strokes in an intensive session of 5 to 10 swim lessons! 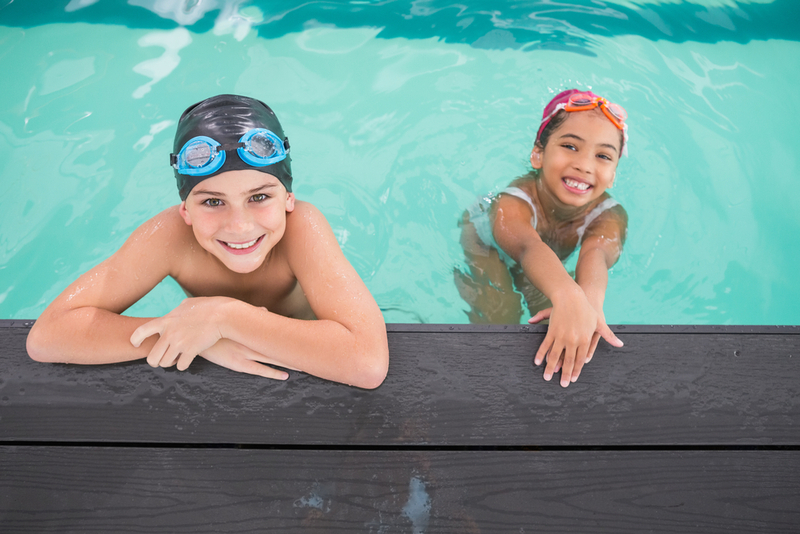 Sometimes students at similar swim levels can learn to swim well together, since they tend to motivate each other by example and healthy competition. This often works best for siblings and friends. Call or email one of our offices for more information on Semi Private Swim lessons. 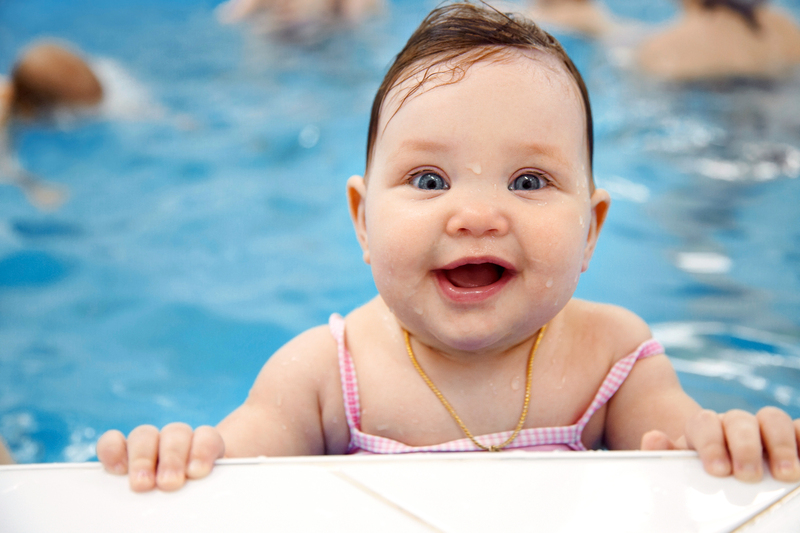 These swim lessons are particularly great at getting babies acclimated to the water and making them look forward to swim lessons. Of course we use lots of games, songs and props (floating & water-squirting toys) to engage your child in a way that makes getting used to the water a fun experience. The main benefit to starting out at such a young age is to prevent a fear of water from ever developing, so that swimming will become a safe and pleasant activity that your child really enjoys doing. We strive to get your baby water safe as soon as possible, and to have a healthy love and respect for the water. For more information on Mommy & Me or Daddy & Me swim lessons - call or email one of our office locations nearest you. We also offer swim lessons to adults! Our experienced, patient instructors can work at your individual pace to overcome any apprehension or fear that has prevented you from learning to swim in the past. Hundreds of adults have benefited from our concentrated one-on-one swim program to quickly become safe, comfortable and progressing in the water. Generally speaking, an intensive session package of just 5 one-hour swim lessons, will yield results that make it possible for you to never again have to say, “I can’t swim.” Prices for the package start at $450. Got questions? Don’t hesitate to call or email. We love hearing from customers and are standing by to answer all your questions. Our private swim lessons enable the swim instructor to focus all of the attention on your child, so learning to swim happens much faster. We accommodate your schedule and your child’s ability with swim lessons that provide amazing results! We offer weekly, 2x weekly, 3x weekly to our ``intensive swim program`` which is 5x/week for 2 weeks. Our swim instructor can come to you, so that your child learns to swim in the privacy and convenience of your own home pool! "My son was swimming in just two days. It was extraordinary! He's learning by leaps and bounds. I'm amazed!" "Riley totally learned how to swim this summer. She swims across the pool now, and I’m amazed." "Our teacher was really great...and he always showed up 5 minutes early. Charlie learned a lot, and made great strides this summer." Copyright 2014 AquaSafe Swimming Lessons.